In this article for #DidYouKnow we consider the steps and precautions that need to be taken into account in consolidated shipments and groupage operations. When sending an ocean freight LCL (Less than a Container Load) shipment the cargo needs to be carefully prepared. LCL shipments require container sharing, and therefore the shippers need to take extra caution to ensure the integrity of the merchandise handled. The two most common causes for damages to LCL loads are the collapse of stowed materials caused by the shipper’s improper stowage of cargo inside the container, and insufficient individual packaging and contamination caused by the incompatibility of cargo within the same container. This prompted us to draft this article to clarify the issue at hand: How should an LCL shipment be properly packaged and prepared? Certain aspects need to be considered when ensuring safe transportation of this type of cargo. Some of these include identifying whether the goods in the shipment are fragile, and how many boxes will eventually comprise the entire consignment. Once these questions are ascertained, the shipper can prepare the packaging and the proceed with the labeling of the goods. In terms of the boxes and packaging, the general rule of thumb is to pack all the goods in boxes, and avoid the use of suitcases or bags. Ideally, special boxes designed for export should be used. Should the shipment contain delicate merchandise, the empty space inside the boxes should be filled with plastic packaging bubbles for added padding and protection. Finally, each box needs to be individually and securely sealed. On the outside of the boxes clear labels need to be placed, containing the names of the shipper and the consignees, country of destination, name of the freight forwarder and the booking number. If the merchandise is fragile, the “Fragile” label should appear on the sides of the boxes. There are other types of labels that could be added to containers with delicate cargo. These include the orientation of the box to be handled, storage advice, chemical identifiers, etc. Whether or not the labels are placed on the boxes is up to the shipper and to the nature of the cargo. The labels should also identify the total number of boxes within each shipment. The label should have a number that indicates each box position with respect to the total number of boxes: “Box 1 of 30”. Finally, when preparing the boxes merchandise needs to be arranged evenly and uniformly. Shipping prices are calculated based on the cubic volume of the contents. 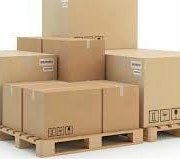 Once cargo volume is calculated and the booking is placed with a freight forwarder, it is time to start thinking about palletising the goods. Unlike an FCL shipment where goods can travel loosely within a container, LCL containers are shared. Everything has to be perfectly and properly palletised. When measuring the volume of your shipment, one needs to always take into consideration the pallets used. Once all of these steps have been taken, the shipment is ready to be sent on its way to its final destination in a safe and organised fashion. Blockchain technology is capturing interest across the supply chain, and the maritime industry is no exception. 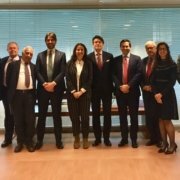 Nine ocean carriers and terminal operators are so interested that they recently formed a consortium to develop the Global Shipping Business Network (GSBN), an open digital platform based on distributed ledger technology. Participants in the consortium include CMA CGM, COSCO Shipping Lines, Evergreen Marine, OOCL, and Yang Ming as well as terminal operators DP World, Hutchison Ports, PSA International Ltd., and Shanghai International Port. “The new platform, an ecosystem for the shipping community, will connect all shareholders including ocean carriers, terminal operators, customs authorities, shippers, and logistics providers to realize collaborative innovation and digital transformation in the supply chain,” according to a Yang Ming spokesman. These goals are similar to the expectations expressed by Maersk and Kuehne + Nagel, early adopters of blockchain technology. In January 2018, A. P. Moller-Maersk and IBM announced plans to pursue blockchain solutions. Then in August 2018, the two companies collaborated to create TradeLens, a blockchain-enabled shipping solution. Ninety-four organizations are actively involved or have agreed to participate in the TradeLens ecosystem, including 20 port and terminal operators accounting for approximately 234 marine gateways worldwide, Additionally, customs authorities, freight forwarders, and beneficial cargo owners (BCOs) have joined. Freight forwarder Kuehne + Nagel participates in a blockchain consortium consisting of consultancy Accenture, ocean carrier APL, and shipper AB InBev. In its most basic form, blockchain is “shared ledger technology” enabling a single, shared, tamper-proof ledger, according to IBM. Once recorded, transactions cannot be altered. Anticipated benefits include less paper processing, increased transaction time speed, and improved efficiencies. Although it is often used as a single technology, there are two different types of blockchain: public and private. Some of the most commonly known public blockchains are the cryptocurrency ones used for bitcoin transactions. Because these are completely transparent, participants are concerned about dealing with sensitive information, such as commercial contracts. Sharing the exact details of contracts and transactions is problematic for freight forwarders, ocean carriers, and shippers. These various stakeholders may collaborate with each other, but not with their competitors. This level of transparency may be an issue with supply chain strategy increasingly becoming a competitive advantage for companies and freight forwarders seeking differentiation in a crowded and fragmented market. While a consistent wave of ocean carrier consolidation has occurred in the past few years, the remaining players still compete for volume. Empty containers do not generate revenue. Private blockchains allow users different permission levels, so access can be restricted, and information can be encrypted to adapt to users’ needs. Transporting goods internationally can become complex, both in terms of physical distribution and cross-border data exchange. Documents related to hazardous cargo, invoicing, cargo release, and other required customs information are vital to the actual movement of goods. One missing or inaccurate form can keep freight from being delivered. Unlike domestic U.S.-based transportation, global shippers cannot immediately contact a provider and have a new truck dispatched within moments or hours to avert the supply chain implications of a missed or delayed delivery. One reason the maritime industry is embracing blockchain is to “reform document processes of shipping management,” says a Yang Ming spokesman. The first prototype of GSBN allows shippers to digitize their documents and proceed to automatically exchange data with relevant supply chain parties. This simplifies the complicated documentation process and expedites the delivery of goods. Kuehne + Nagel’s first blockchain activities date back to 2016, when the concept received board-level support and it began case identification workshop. 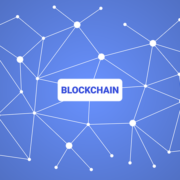 Fast forward to 2019, and Kuehne + Nagel states there is much work still to be done to achieve the promise of blockchain technology. “Blockchain has the potential to enable further digitalization of existing processes,” Ottemoller notes. “But the technology is still at a very early stage.” . However, some successes have come from its blockchain consortium, which has focused on one central document in ocean freight: the bill of lading. “The consortium already developed a proof-of-concept for an electronic bill of lading use case from export and import to a common blockchain-based ledger,” reports Kuehne + Nagel. Maersk also reports benefits from its adoption of blockchain technology, and specifically, the TradeLens application. The platform has captured more than 154 million shipping events, including arrival times of vessels and container “gate-in,” and documents such as customs releases, commercial invoices, and bills of lading. In the past, Electronic Data Interchange (EDI) systems shared some of this data in the supply chain. The TradeLens platform has already proven to be effective. One example Maersk reports is a 40 percent reduction in transit times to ship packaging materials to a production line, avoiding thousands of dollars in costs. The GSBN consortium hopes to achieve these types of real-world supply chain enhancements. “We are always willing to try innovative technologies to keep up with the digital transformation of the shipping industry in collaboration with others,” says a Yang Ming spokesman. The blockchain “revolution” has also lured new players to the market, such as CargoX, a company that created a neutral, open, independent platform available to ocean carriers and other stakeholders. While other consortiums may be limited in the ability to expand or onboard new carriers, “Our platform solves these issues, as it is based on a neutral, open, public Ethereum blockchain network,” notes Stefan Kukman, founder and CEO of CargoX. Recently, CargoX customer ShipChain completed a successful blockchain-based pilot shipping initiative with Perdue Farms. During the pilot, ShipChain tracked Perdue fleet data and recorded it in the Ethereum blockchain. Early adopters such as Kuehne + Nagel remain optimistic about the future of blockchain and the maritime industry. The freight forwarder is using the application in the areas of workflow, trade finance, provenance, and visibility. As additional new entities enter the same space with unique platforms, however, reaching these goals may be a challenge for shippers. With providers ranging from ocean carriers to freight forwarders to software companies offering different options for blockchain platforms and consortiums, how does a shipper that does not want to work with only one provider deal with the challenge of enabling integration and interoperability between those platforms? With multiple groups working to establish global shipping standards, which standards will ultimately benefit shippers most? Gonzalez also raises another area of potential concern: Can any technology, new or dated, overcome bad data? “It’s important to note that blockchain doesn’t erase the fact that supply chains still suffer from crappy data,” Gonzalez cautions. “It doesn’t erase the integration challenge of aggregating, cleansing, and linking together data that is spread out across many different applications. Other issues beyond the scope of blockchain alone need to be resolved to improve efficiency in the ocean freight industry. “Digitalization and blockchain are not synonyms,” notes Kukman. “They are tightly connected because the shipping industry is lagging behind in its digital processing. Whether using a CargoX platform or another application for blockchain, the ocean freight industry must embrace technology to “deal with the problems that arise from the snail’s pace of transferring paper documents,” Kukman states. Paper documents can be damaged, lost, or even forged or stolen. End customers will have the greatest benefit in knowing where existing documents, transactions and goods are located, as well as whose turn it is to make the next step in the process,” Kukman adds. Additional benefits for end users are likely to be realized in the area of forecasting. “The CargoX platform provides new ways of analyzing past business events to support forecasting loads and volume, identifying throughput bottlenecks, and other issues,” Kukman says.